If you have grown tired? Grown tired of the same old chain hotels and are looking for a new vacation experience, consider booking a weekend in a treehouse. These quaint alternatives to traditional hotel rooms are popping up all over the world. Here are a few locations to check out. The Cabins in the Trees Resort in Catalonia, Spain, offers a beautiful vacation location for lovers of nature. The cabins here are designed to make guests feel as if they are in contact with the trees, part of the foliage and one with the forest. Ten cabins sit perfectly camouflaged amongst the trees, each offers guests privacy and the ability to disconnect from the business of their everyday lives. Guests come for the tranquility and to relax in the peacefulness of the surrounding forest. This private event and overnight retreat center is easily accessible from Seattle. Just 30 minutes outside of the city in a forest along the Raging River, Tree House Point offers guided tours, lodging, wedding, and meeting accommodations. It is the perfect spot to unplug, escape from life’s stressors, and relax in the Pacific Northwest. 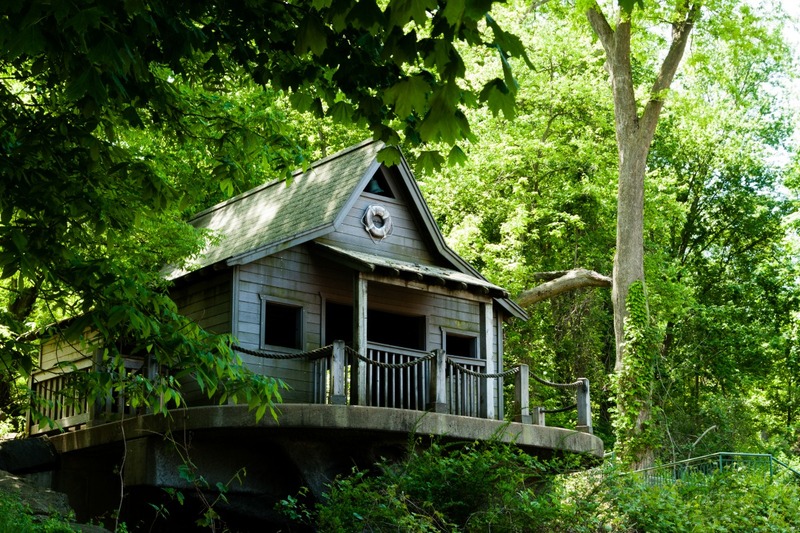 There are a variety of tree houses to choose from, depending on the number of guests in your party. The property also includes a lodge and pond room that are accessible to all guests. This unique treehouse resort for adults is situated in a coastal rainforest on Vancouver Island in British Columbia. The mission of the resort is to provide a venue for guests to enjoy themselves while staying in a natural forest environment. The spheres are treehouses for grown-ups, designed by owner Tom Chudleigh to “prolong the whole minded experience” of being alone in nature. There are three spheres available for rental: Eve, Erin, and Melody; each unique in its design and interior. Perhaps it should come as no surprise that the country that is home to the Ice Hotel and the Hotel Under a Lake also has a Treehouse hotel. Just outside of the Arctic Circle in Harads, Sweden, there sits a Treehotel with six unique structures. The most impressive structure, the Mirrorcube, sits in a single tree and is encased entirely in mirrored glass. The exterior reflects its surroundings, creating a perfectly camouflaged structure for guests. It accommodates two people, includes a large bed, small kitchenette, a bath, a living room and a small terrace.